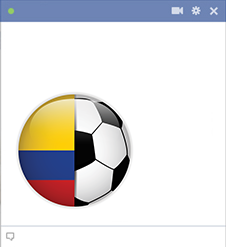 If you admire the Columbian team, you can show your fan support by posting this cool emoticon to your Facebook timeline. You can also send it in a chat message. Follow the game and let your FB friends know who you're rooting for with this colorful image.